ATLANTA (Aug. 22, 2017) – Entry-level employees are becoming less proficient in the skills most needed to succeed in today’s workplace, according to a recent national survey of human resources (HR) managers responsible for hiring. The survey, sponsored by leading early education provider Primrose Schools®, revealed skills like adaptability, teamwork and problem solving are critical to workplace success. Yet, 70 percent of seasoned HR managers report that entry-level employees are rarely proficient in these skills. According to the survey, critical thinking, problem solving, teamwork, self-control, adaptability and working memory – collectively referred to by educators as executive function skills – are more highly valued in entry-level candidates than technical abilities, academic background and other factors. And while respondents state that entry-level employees are rarely proficient in these skills, two-thirds say hiring entry-level employees with good executive function skills is a top priority for their company’s long-term success. Research indicates that these skills will only become more valued in our rapidly changing world. A Hay Group study cited by Forbes shows that 90 percent of employers worldwide believe skills like self-control and teamwork will become increasingly important as society evolves. 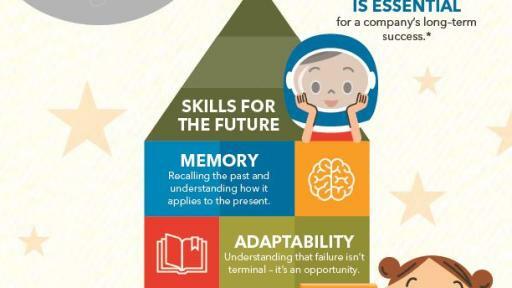 Unfortunately, one in four HR managers surveyed says entry-level employees are becoming less proficient in these skills over time, and the majority of those surveyed agree executive function skills are difficult to teach. Capitalizing on the rapid brain growth that takes place during the first five years of life may offer the solution. 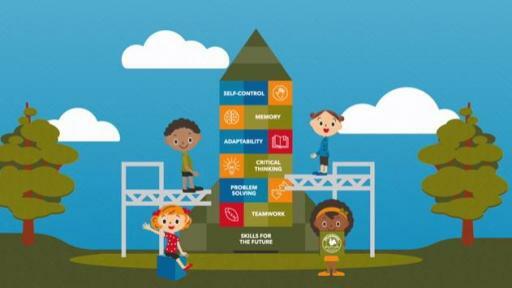 The Harvard Center on the Developing Child reports that children’s early life experiences influence their capacity for executive function skills, and laying the foundation for such skills is one of the most important tasks of the early childhood years. 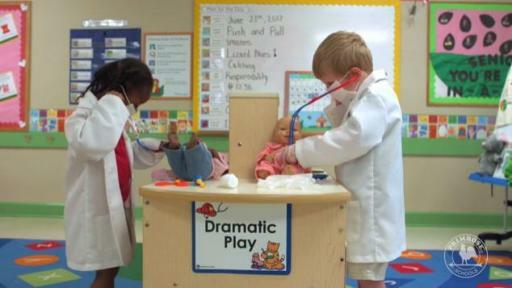 Help prepare children for the future by teaching these skills! Early education providers therefore play an important role in the development of executive function skills. At Primrose Schools, these skills are built into the research-based Balanced Learning® curriculum used by each of the more than 350 Primrose preschools across the country. Every day, children 6 weeks to 6 years old take part in age-appropriate experiences that intentionally nurture teamwork, problem solving and other skills important to children’s lifelong success. To learn more about the results of the survey sponsored by Primrose Schools, explore this infographic or video. For more information about how to nurture executive function skills in young children, visit the Pointers for Parents blog for videos, tips and resources. Primrose Schools is the leader in providing premier early education and care to children and families in the United States. Founded in 1982, there are more than 350 Primrose schools in 29 states today. 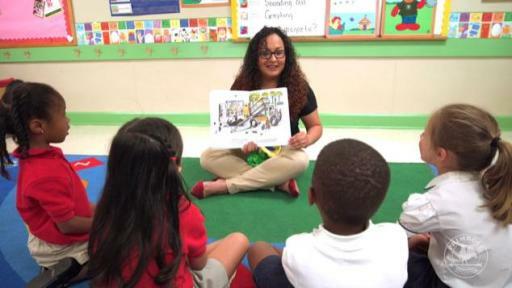 Each school is independently owned and operated by Franchise Owners who partner with parents to help children build the right foundation for future learning and life. Primrose believes who children become is as important as what they know. The Primrose-exclusive Balanced Learning® approach is created from the best early education wisdom and balances purposeful play with nurturing guidance from teachers to encourage curiosity, creativity, confidence and compassion. For more information, visit www.PrimroseSchools.com, connect with us on Facebook and Twitter, explore our blog, sign up for our Pointers for Parents emails and find a Primrose school near you. The Primrose executive function survey was conducted by The Bantam Group in March of 2017 among 200 HR professionals nationwide in companies with 100+ employees. Each participant was screened as being responsible for hiring new employees. Survey results are projectable nationwide and have an average error margin of +/- 4.5 percentage points at a 95 percent confidence – meaning, if this survey were repeated, 95 times out of 100, the results would fall within 4.5 percentage points above or below the reported statistics.